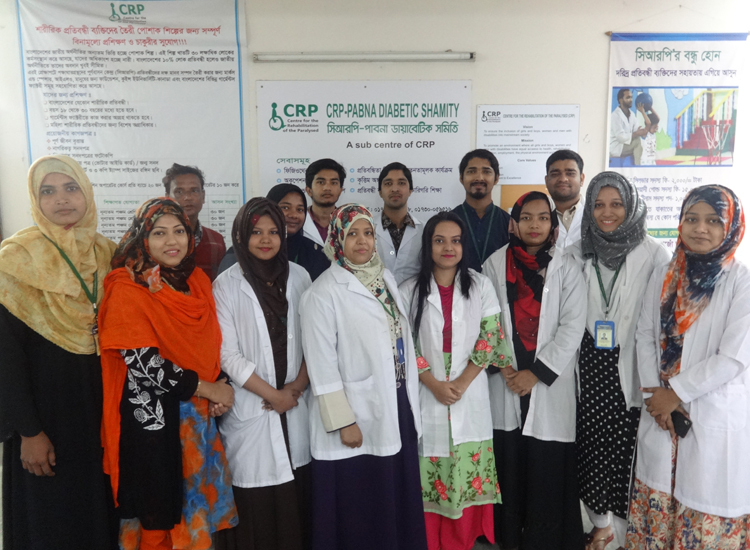 CRP-Pabna Diabetic Shamitystarted operating in Pabna, with the collaboration of Pabna Diabetic Association, in January 2017.Physiotherapy, Occupational Therapy, Speech & Language Therapy and follow up services are available here. Along with individual treatment sessions, group therapy has been introduced for children with Autism, Cerebral Palsy, and early developmental delay.In the reporting year, 1582 patients were treated. As part of community based rehabilitation activities, patients with Spinal Cord Injury and Cerebral Palsy were followed up through home visits and provided necessary health accessories and advice. 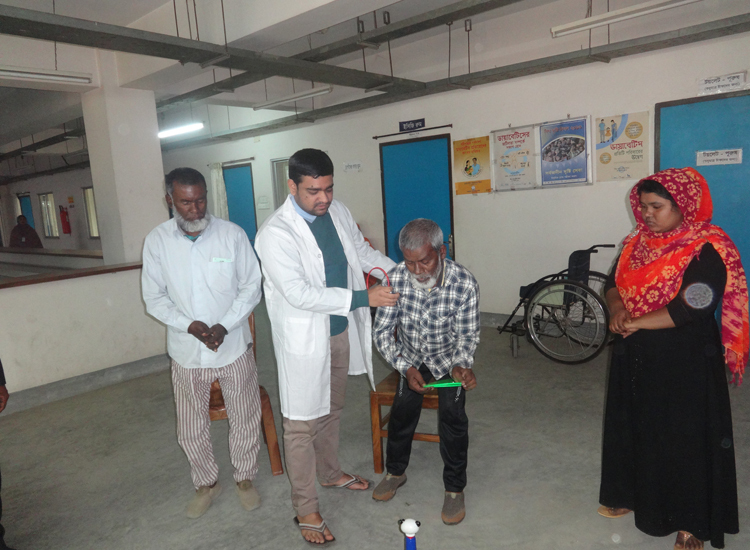 Two Occupational Therapists from CRP-Pabna provided voluntary services at Mental Hospital, Pabnawhere 124 patients received treatment. 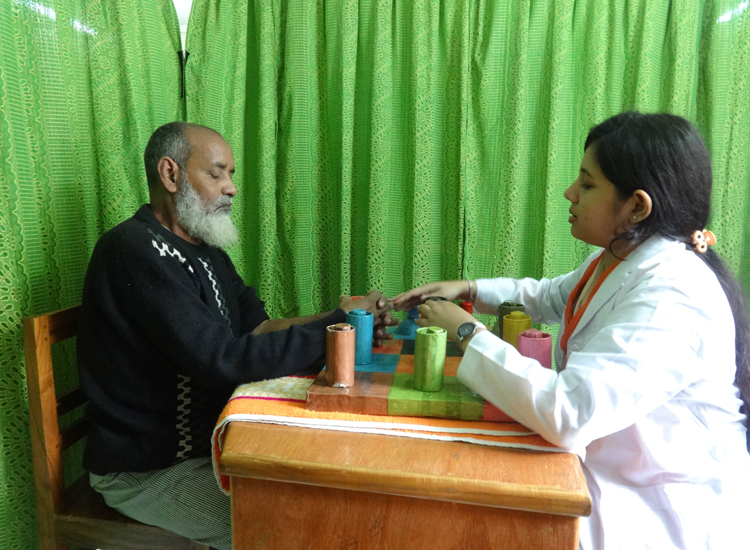 They conducted individual therapy sessions, outpatient’s consultancy, group therapy, and vocational training for patients with mental illness, and skill development training for their existing staff. The centre has observed International Spinal Cord Injury Day and organised 23 advocacy campaigns in local schools to raise awareness about Scarf Injury and disability issues. Due to the increasing needs of patients, the Honourable President of Pabna Diabetic Association, Mr. Baby Islam donated 49.5 decimal land(2000 sqm) on behalf of his organisation to CRP in November 2017 for establishing a permanent centre in Pabna.